At home I use my Mac in clamshell mode so I've never had a need to do anything on the second display, however at the office everyone who was not using an external monitor was given one now, so all of a sudden I had a second display to use. 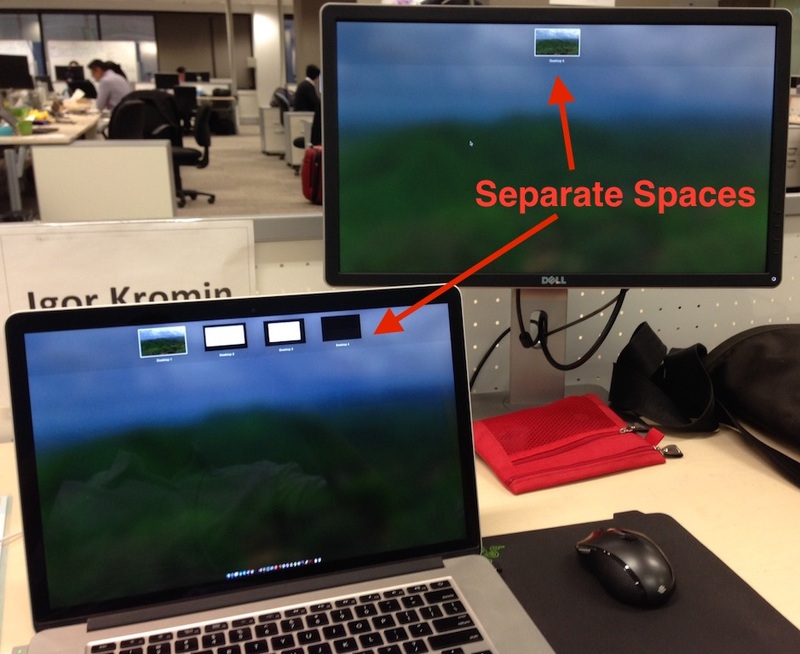 As soon as I connected it, I instantly remembered why I've been avoiding dual displays on a Mac - whenever you changed desktops on one, the second display would change its desktop too. This is very annoying if you use the second display to hold some reference material or a document while you work on the primary display. Luckily with Yosemite (although I think it was added in Mavericks) this can be changed. 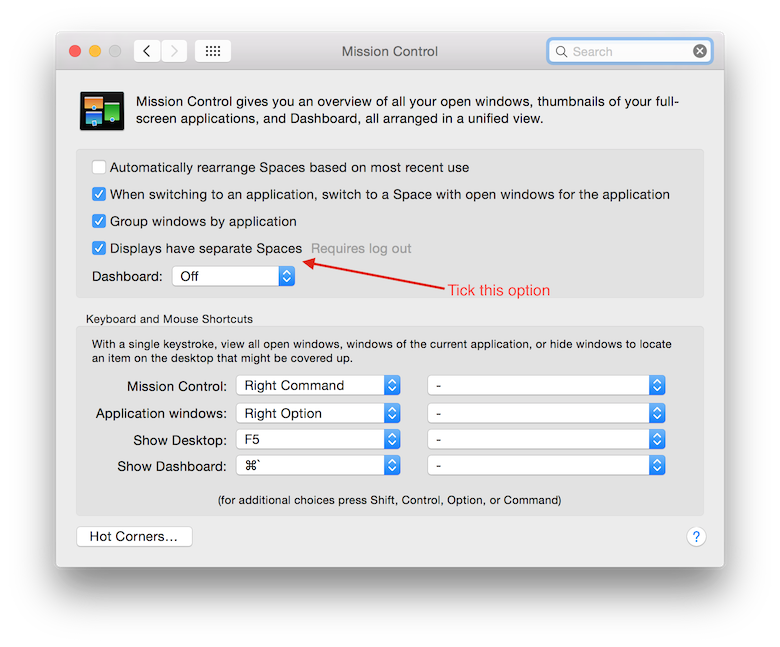 To make the second display's desktops independent from the first display, go to the System Preferences > Mission Control and tick the Displays have separate Spaces option. You will need to log out for changes to take effect. This will create a single desktop on the second display, which means that when the desktops are switched on the first display, the second display will not change. Frustration with changing desktops solved! Now the second display can actually be used for something meaningful.